With Office Chat, the goal was simple; we wanted to create a product like Whatsapp, but for enterprises. This app should seamlessly work between devices (mobile and desktop) and could also be sold alongside the other suite of apps offered by MangoApps (an enterprise social collaboration network). Although MangoApps has an IM client tool integrated in it, Office Chat differentiates itself by bringing out the social flavour from MangoApps, thus, offering a similar and robust IM Client. When we launched MangoApps, it was a Micro-blogging tool which had IM capabilities. As our customer base grew larger, we integrated modules that raised a lot of feature requests from our community of users. These feature requirements typically vary drastically from industry to industry. With over 8,500 customers from 28 countries, what has set MangoApps apart is its ability to integrate with almost 30+ applications such as SalesForce, SharePoint, Office 365, etc seamlessly. MangoApps architecture was built keeping in mind that any enterprise could plug and play with any existing solution that maybe used within the organization. Office Chat gives companies a better way to communicate with colleagues and project members, by offering a solution that works across multiple devices. We have spent a lot of time in understanding the pain points of our customers and how our product could simplify their lives. The Office Chat team has also been dogfooding the app themselves by using the product internally, and providing relevant use cases to make the product simpler to use. The motivation to use Office Chat is driven by the increased productivity from using a platform that allows the user to perform better because all the information is tightly integrated. As Product Managers we spend a lot of time demonstrating use cases to our customers. We have a public domain that allows any customer to sign up for free and kick off a Proof Of Concept (POC). It’s only after an entire team uses the platform do they see the value in using it, hence, we spend a lot of time evangelising the benefits of this social aspect inside organizations. Office Chat as a product fits into any industry. To cater to our diverse customers we segment our audience on the size of the organization and offer solutions based on the capacity of usage. Public Cloud: This is a SaaS based model where a customer can purchase the app and can start using it immediately. We offer the App in three avatars, namely free, business and enterprise. The advantage of moving onto a more premium plan is that you will not have any limitations with integrations with 3rd party API’s or the number of users. Private Cloud and On-Premise: This solution offers the customer the flexibility to choose his own hosting provider while deploying Office Chat. We also offer a range of on-premise solutions as well. We spend a lot of time interacting with our customers. We try to understand the sort of challenges our customers face while adopting to the platform. When a customer requests for a feature, we usually take a step back to analyse if such a feature has been requested by other users to see if we can derive a pattern and based on this before we go about defining our product roadmap. We are planning to integrate a slew of features (including real-time note pads) that increases the ability to collaborate between colleagues. #PNHANGOUT is an on-going series where we talk to Product Managers from various companies to understand what drives them, the products they work on and the role they play in defining the products success. MyParichay is India’s Largest job search and career network on Facebook. The company consists of a dedicated group of successful entrepreneurs, HR professionals, and computer scientists that want to capture the spirit behind a Parichay (an introduction) from a known person to transform how people achieve their career potential and companies find the best quality talent. The company’s technology prowess and deep understanding of the industry have encouraged several corporates including Genpact, 24X7, IBM, PWC, Grollier, Airbus, EXL Services, Cognizant, Yahoo India and Convergys to adopt MyParichay solutions. MyParichay has two product lines; one a social job board for job seekers, which is an internet consumer product and the other a set of social recruiting management products viz. Employee Parichay and Company Parichay for employers and recruiters. Here we focus on the social job board for job seekers, their B2C product. Every job seeker knows that it is much easier to get an interview call when your resume has been referred (or at least forwarded) by an employee of the company, than if you post it through regular job boards or company’s website. However, it is not always easy to find out who amongst your friends and acquaintances can help refer you within the company. Most people still rely on regular channels of job search, which continue to yield poor results. MyParichay (like other companies in this space) intends to solve this problem of discovery by allowing job seekers to discover their connections (Facebook and LinkedIn for now) within the companies where they see a relevant job opening, and allows them to request them to refer their resume. It is a social recruitment platform that believes in the power of a ‘Parichay’ – the Sanskrit term for introduction. It was established in 2012 and is co-founded by Ranjan Sinha and Vivek Sinha. Considering that 6 out of 10 job seekers are only on Facebook and that according to a study by ERE.net, chances of finding a friend increases by 54X when applied through a friend, MyParichay brings the power of social network to Job seekers. Their target segment is 21-30 yrs. which spends a lot of time on Facebook and uses Facebook as both a personal and professional network. They offer a job board for job seekers larger than Naukri and Monster combined! Their job seekers app is in Facebook’s Top 10 business app. MyParichay allows their users to sign-in using Facebook (the only sign-in option) and look for jobs in companies, hence acting like a regular job board with a large number of job openings posted. You can add your Linkedin network to your MyParichay account to leverage your connections on LinkedIn. Every job search result is tagged with a list of people from your network who are connected with this company and can potentially refer you. The site then allows the user to apply to these companies by requesting their friends to refer them, thereby increasing the chances of an interview call significantly. Their proprietary ConnectedJobs technology is built on a combination of Java, Python, and various Open Source projects. They use a combination of NoSQL and SQL data stores and use AWS. Their website is Android and iPhone friendly today and they will continue to invest in improving the website experience on handheld devices. They are also planning to bring to market a native android app that leverage key capabilities of mobile devices, such as OTT messaging and geo location, to deliver a unique social experience within the career enhancement context. Their biggest differentiator is the size of the job pool that they have, and which continues to grow. They have tie-ups with various other job boards and thereby act as an aggregator of various jobs out there. They also have tie-ups with various large companies, which allow them early access to the jobs. They continue to sign job board partnerships around the world and will announce three significant partnerships this quarter; they are also building their own job crawler. Another advantage of social recruitment solutions like MyParichay is that by using social networks, they provide transparency whereby both job seeker and employer can learn more about each other, much before serious discussions have started. With its B2B solution, MyParichay closes the loop on referrals by both making it easy to refer (for employees) as well as making it easy for companies to track these referrals using MyParichay’s system. While job portals proliferate in India, hiring good talent remains a tough problem for organizations. Referral continues to remain best channel for good hires, but referrals account for a very small % of total available profiles. Hence it is not surprise that recruiting through social media (and hence job search through this channel) is a hot area, and MyParichay is positioned well. They have signed up some marquee clients and continue to do well in that area. They have 24M+ profiles in their database and continue to sign-up 12000 profiles a day (more than Naukri’s 11,000 a day). This demonstrates the traction they have in the market. Among their competitors in Social Recruitment space, Career Sonar is best known, with very comparable offering. In addition, traditional job boards are their competitors, as well as their potential partners. Ranjan Sinha, Co-Founder, says, “Apply Button is our competitor, not the job portals.” They recently signed up a deal with Shine.com (HT Media has a stake in myParichay) to allow social bar on Shine.com site, essentially replacing ‘Apply’ with “MyParichay Apply”. Recruitment has always been a social process. Good companies and roles are found by word-of-mouth, good hires are found through referrals and from passive pool of candidates (who are not looking for jobs). Interview process is more about knowing each other and liking each other than comprehensive evaluation of capabilities (which is anyway impossible to do in the short interview window). Job boards traditionally have made it a transactional activity where recruitment has primarily become a resume collection program. Social recruitment tools offer a much needed push towards making hiring social again. User Experience: Experience of their web site is decent but need to be at par with other consumer products their target segment is used to – it looks more web-like and less app-like. Relevancy of connections: Currently, I need to choose who do I go through if I have more than one connection who can refer me to a job. Clearly, with more data at their disposal, myParichay is (or should be) in a better position to recommend the person I should go with to have the best results. This will make the process more effective and seamless for the job seekers. Job Search vs. Recommendation: Job Search is going to be obsolete concept, given that many roles names and job definitions continue to evolve rapidly to fit a globalized world’s new requirements. Given that myParichay knows my profile details, it should be able to recommend jobs for me based on elements of my profile and my online behavior. MyParichay is in a growing segment and has carved out a good position for itself, and they seem to be on track for a fast growth. Future seems very bright for them. Adopters of any new innovation or idea can be categorized as innovators (2.5%), early adopters (13.5%), early majority (34%), late majority (34%) and laggards (16%), based on a mathematical Bell curve put forth by Everett Rogers in his book titled “Diffusions of Innovations”. The book broadly suggests that if you have a product that is of value, you often times have to pave the path for the consumers to be the beneficiaries of this idea. It’s the product designer’s role to design how a product is used across the dispersion of users. This ultimately determines the principles of design and the features that your product consists of. While I was doing my PhD in IISc, I worked on designing a myriad of algorithms for information retrieval. A typical internet user reads content that could range from currents events, such as the war in Syria, to topics as specific as Product Management. I’ve always dreamt of a system that can bring the most relevant information to a user – without the user searching for it. Pugmarks.me connects the context in which you are browsing through these articles by following the digital trails you leave behind. It then uses its context engine to recommend the next article it considers you should read packaged in a seamless experience. Designing Pugmarks.me has been an exciting experience, which included research in algorithms, building a real time crawling and retrieval system, and constantly learning from users. We’ve followed some Mantras in our product development – especially because the product requires inputs from multi-disciplinary areas. Everything has to tie in, to each other. Nothing is known prior and has to be learnt along the way. A “product management” approach would not work. A “waterfall” model to design would not work. “Powerpoint presentations” would not work either. Our product management is less of “management”, and more of design and evolution. Unlike Facebook or Twitter where the problem’s technology core is simple and scaling is complex, our problem’s technology core is complex akin to the likes of Google’s search engine and NEST. Hence, over the past 1.5 years our product has been opened to a smaller set of users which gives us data to refine the product further ultimately paving the path for a larger cross section of consumers to enjoy the benefits of the product. Be metrics driven: Once we analyse our features metrics we identify ones that are successful and bolster them to make these our ‘super class’ features. While we do this, we bin our users into “Fans”, “Tried but dropped off”, “First day drop-offs”. The ‘tried but dropped off’ is where we focus our energy on. We do data analysis, interviews and direct emails – to understand why they drop off. What we learnt is that they mostly drop off because of the “inconvenience” of a new product; either added latency, extra memory consumption, instability of the browser, etc. These reasons give us new things to work on and improve. Usage versus Users: We are building our product with the goal that even if few users come to try out our product, they all stay back. Between usage and users, we prefer high usage between a small number of users over low usage in a high number of users. If our product cannot engage users for a long time, any amount of marketing will still not help. Focus on real Virality: Virality is often confused with just having a Facebook share or a Tweet button, or slyly making a user talk (spam) about your product in his social channels. Virality for us is the inherent quality in our product which makes the user want to talk about it. We consciously ask ourselves, “What will our users want to talk about Pugmarks to someone else?” These viral loops must be strengthened and not social share buttons. Constantly question your assumptions: In our initial iterations, we felt our users will be concerned over privacy. Soon, we realized that the paranoid would never use us anyway – even if we gave them a lot of control. The ones, who used us, felt we were not building good enough models for them. So, we moved away from user supervised learning to a completely automated learning system. We imagine our current user telling us, “I’ll tell you everything about me. Now help me in ways I’ve never seen before”. Continuous Integration: We never take up features or tasks that take more than two weeks to launch especially one’s which require a lot of people and require extensive build times and planning. If you finish the code and if it’s lying unused, there’s an opportunity cost lost because that code could very well engage a user or maybe incite him to talk about the product to someone else. This is a loss for us, hence, we continuously integrate. Own the full user experience, end to end – From messaging to user touch points to the backend algorithms: A user doesn’t appreciate information until it is delivered in a way that is useful to you and is needed by you. We obviously needed a team that was capable of building this experience end to end. Our team considers every aspect of the product, from the touch points to the user, how the product interfaces with the user and also how the product communicates with the user using the technology algorithm we created. 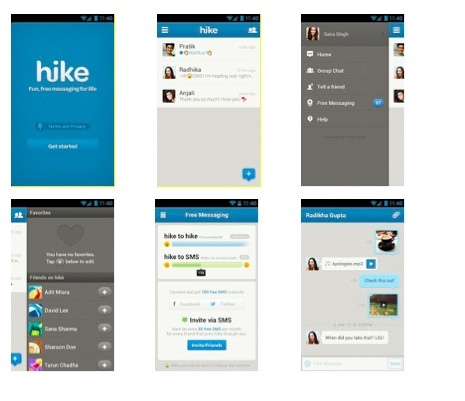 Hike Messaging App – 5M users since 12/12/12, and counting! BSB is a start-up funded by Bharti & SoftBank building mobile products for the Indian market. Hike is a messaging app which allows instant messaging and group chat on your phone with friends who have Hike, as well as those who don’t have Hike. We caught up with BSB’s head of products and strategy, Kavin Bharti Mittal (KBM), to talk about Hike, right before he was getting ready to launch Hike 2.0, a major update to the messaging app. Hike is a pure Made-in-India product. 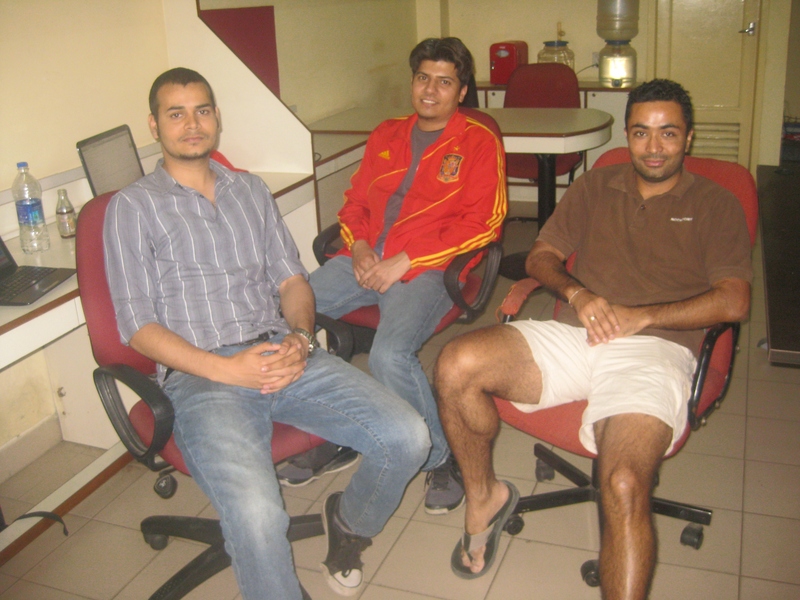 BSB is based out of Gurgaon, and the product was built from scratch by this team. Under the guidance of KBM, who is also the resident UX guru, the team brought out a beautiful and highly functional product in Dec, 2012 when the team size was 15. They are 30+ now, and furiously working on next set of features, supporting users and handling the success! The product has been designed from grounds-up by Hike team. The design is beautiful and minimalist. They chose a more efficient protocol for communication (MQTT, which is less chatty than the better-known and more-often used XMPP). In India, Hike allows its users to message to non-Hike users by converting Hike message into an SMS (each user is given 100 free SMS every month). This is a key differentiator for Hike, in addition to a cool and modern design. Following an agile development model, they schedule a release every 4 weeks with a stop gap release for performance and related fixes in the middle if need be. Such a schedule ensures that they are not hitting the users with too many changes too often, and still stay responsive to market feedback. KBM controls the product UX and works with his designers to create detailed wireframes and mockups before engineering starts working. They have a very product-focused culture and so engineering-design conflicts are minimal as everyone understands the need for a great design and works hard for it. They work on multiple platforms in parallel, so lessons learned on one platform are quickly incorporated into other platforms in the same release cycle. Beautifully designed product – Made-in-India products are not known for good designs. Hike is a notable exception and this will help it gain ground quickly. Messaging Hub – In the world of Facebook and Twitter, there is a huge amount of information generated and consumed by people, causing information overload. Hike aims to cut this clutter and allow you to create a closed network of friends with whom you share right amount of information. This is a good differentiation strategy. Close partnership with carriers – With smartphone penetration going up all over the world and cheap smartphones being available, messaging applications are well-positioned to kill SMS (and jeopardize a large portion of carrier revenue). Hike can offer opportunities to carriers to offer value-added services and retain (and enhance) that revenue. The messaging app space is very crowded (WhatsApp, Facebook Chat, WeChat, Nimbuzz , etc.) and Hike is a late entrant to the party. Still it has created considerable buzz in the market and have some impressive numbers to show. In 4 months since the launch (they launched on 12/12/12), they have crossed 5M users (adoption is measured by # of active users – sending at least 1 message a day) and growing fast! They have used rewards (Talk-time rewards, ended now) and incentives (50 free SMS for each successful invite) to good effect to create good buzz. However, as KBM says, buzz and going viral work only when you provide a good value to the users. Hike 2.0 is expected to bring in lots of features. Using digital channels for marketing and support very well: Blog, support site, Facebook page and twitter handles (@hikeapp and @hikesupport) are all well used by users and well-responded by Hike team. On Apr 17, BSB announced Hike 2.0, a significant release which introduces ‘circle of friends’ notion and many other features. With Hike 2.0, you can now create a circle of friends (consisting of your close friends), post status and mood updates to them, and review their recent updates. This is similar to Facebook’s Improved Friend Lists and Google + . Read the announcement for full list of Hike 2.0 new features and enhancements. ‘Status updates’ are asynchronous models of communication (you don’t expect your friends to read and respond immediately, though this Facebook generation usually does!) while messaging is supposed to be synchronous – you engage in conversation in real-time and expect a response. With 2.0 release, Hike is positioning itself as the ‘messaging hub’ for mobile-first crowd, and taking a ‘closed group, more engagement’ approach (as opposed to ‘everyone reads everything about me’ philosophy). While this might pit it against Facebook and G+ in terms of functionality, I think this is good strategy going forward to capture mindshare of an audience who is a public enough to chat with anyone, but private enough to need the solace of ‘circle of friends’. This also attracts users like me who prefer private and deep conversations and shun messaging apps because of its openness. As Hike grows beyond the feature-functionality debate, it needs to give more focus on back-end: messaging is critical for its audience and disruptions caused by planned maintenance or rush to get new release must be avoided at all costs. My address book contains my US, China and India friends which add up to about 400 contacts. When I installed Hike on my phone (Nokia 710), I found hardly 5 friends who were on Hike (Hike looks for those who are on Hike and adds to your friend list). I did the same for WhatsApp, and I saw 80% of my contacts show up as using WhatsApp, including some of the people I didn’t think were in the target segment of messaging apps! Hike has a long way to go, but I think they have started with the right product and are travelling in the right direction. May the force be with them! As Batman (or a CEO, Founder, Partner) would want somethings to be done, or not done, and especially with a plethora of multiple social media channels to be on, a marketing guy, or a social media girl, or anyone handling social media for a company will always have a tough time. So, then what is the solution? Well, a lot of smart made in India products have come out solving this same problem for a bunch of businesses. To manage all their social media accounts in 1 place, be it Youtube, Twitter, Facebook, Linkedin etc. So we created a list again of SaaS products made from India, specifically focussing on solving this problem around Social Media, this list is not exhaustive, and we hope to get a lot of feedback on more companies and products from you, so please drop in a comment or email us and we will add those companies as well. 1. Crowdnub – Build and launch your rich custom-like Social app in minutes. Re-purpose, re-use, the smarter social app platform. 3. EaseSocial – EaseSocial automates all your social media campaigns. It allows you to view all the online conversations about your brand and products in real time. 4. Grabinbox – Manage multiple social media accounts like Twitter, Facebook and Linkedin. 5. Konnect Social – Monitor & analyze all brand conversations from one simple tool. 6. Mangoapps – MangoApps uniquely combines Enterprise Social Networking, Team Collaboration tools and Intranet pages into one breakthrough product. 7. Markitty – making online marketing on social media easy. 9. SaltSocial – Social Media Monitoring and Engagement Dashboard for agencies and organizations. 11. SocialAppsHQ – Social media monitoring, actionable analytics, engagement tools, viral apps and so much more in one easy-to-use platform. 12. Sokrati – Propel engagement and conversations via Social Media Marketing. 13. Unmetric – The Social Media benchmarking company for brands. 14. ViralMint – Viral Marketing and customer acquisition platform around social. If you have any other suggestions, and we have missed out on any, please help us further, email us or put in a comment. The next SaaS #madeinIndia products focus will be on business phone systems. Ciafo is a software products startup, based out of Bangalore focused on building consumer products for the web (including the mobile web). Ciafo has three products – Travelomy, Wayr, Frrole. In this interview, Amarpreet Kalkat, Co-Founder, Ciafo discusses aspects of building a B2C product from India and shares some of his learnings with startups. Frrole is an information exchange medium, not a unidirectional news provider. It has a heart and it likes to talk – hear from the people what they want to say, and tell them what they want to know. I always had a passion for building intelligent products. If I have adequate resources, I find a way to connect the dots. This is what I have always been good at, and this is what I always wanted to do – use these skills to create intelligent products that could simplify lives. In a large corporate setup, an individual is constrained in more ways than he can be comfortable with. A typical project manager or a product manager profile in a large company strictly limits one’s degree of freedom, thus affecting his ability to innovate. While some people love to work in a focused, defined way, I believed I needed more freedom than was possible in a normal corporate setup. By the time I realized this, I was already juggling with a few ideas in my mind. So, it was not difficult for me to quit my job and create Frrole, independently. We were working on our first product Travelomy and one of the features we wanted to build in there was ‘real-time social information streams’. We were surprised at not finding any readymade localized streams, so we just decided to build one of our own. But as we started digging deeper, we could see that real-time, curated social information was missing not only in travel guides, but at a much wider level. The challenge was in separating out that 1% signal from 99% noise, and we thought that we could do it. Slowly, we became sure that this could be an independent product by itself, and that is how Frrole was born. The name Frrole is a derivative of a word in Punjabi language that roughly translates into ‘to play around, to discover, to explore’. We had always thought that this project was about building a brand new way of exploring around the cities that we live in, hence the name was always there in the shortlist. The fact that it met 6 of the 7 criteria we had for choosing the name (refer Paul Graham’s essay) and had the .com domain available, finally sealed the deal. Also, the core of Frrole is to find and present information that is nowhere else available. Justifying its name, the application enables people to discover news from sources totally unknown to them. Just like ‘Googling’ has become a generic term for ‘finding things that are known’, we hope to see a day when ‘Frroling’ becomes a generic term for ‘discovering things that are unknown’. Frrole is a twitter based product. It analyses a million+ tweets every day, posted by individuals, companies and mainstream media and selects 0.5% of the most informational ones among them. These tweets are then displayed to the users as news items. In doing so, Frrole creates an additional source of unbiased news, in the form of individuals like you and me. These million additional news sources are the core strength of Frrole, making it a superior product than its competitors. The news on Frrole can be sourced from a common man like your friendly neighbor or from a giant publishing house, with complete impartiality. The core philosophy behind Frrole is to create a democratized platform using which any person can spread useful information, making each one of us a citizen journalist. Like all other news apps and websites, Frrole gives you information collected from various news publications, blogs and your social media acquaintances. But, that is only half of what Frrole is all about. The other half is about news ‘for the people, by the people’. There cannot be any news source faster and more accurate than a common man who has witnessed an event, and this man is where Frrole sources its news from. Other important differentiator between Frrole and its competitors is Frrole’s ability to generate localized content. Frrole lets its users select a city to enable them to get news relevant only to that city. Thus, Frrole makes you a person more aware of your surroundings, unlike any other news product. What is the biggest challenge Frrole has faced so far? How did you address the challenge? Not having a full-fledged, full-time team has been the biggest challenge by far. But we have come past that point and now we have a core team of three people. Nishith Sharma, an IIM Kozhikode grad who has earlier managed marketing for Jaguar Land Rover in India, takes care of marketing and Abhishek Vaid, an IIIT Gwalior grad, is responsible for building our backend analytics engine. We have a prize for everybody who claims he is not our customer. We have yet to find a person who doesn’t find value in Frrole. A typical customer of Frrole is somebody who can read English, aged 5-100 years old, living in any part of the world, and not totally disinterested in life. On a more serious note, we define our core user as somebody who is 24-40 years old, socially active, and comfortable with the concept of informal information. The mid-term future plan is to establish Frrole as the ‘world view’ news source. Something that people use to hear what the world around them is really talking about instead of being limited to only what mainstream media has to say. In the longer term, we see ourselves doing the same thing for social web what Google did for the web – make sense of it. And while Google started with the search as the first application of that technology, we are starting with news as the first application. This technology can be applied to any more use cases as Google has shown, and we hope to emulate the same. Nothing really that big yet. Maybe a few small things like being called the future of news, having a TV feature on Frrole etc, hitting half million monthly unique visitors mark with only one full-time person etc. See the last response below. Those lessons for others are derived from my personal lessons. What kind of support would you have liked? Entrepreneurship requires three kinds of resources – Man, Material, Capital. While ‘Material’ is not very important in the software context and entrepreneurs possess the ‘Manpower’ resource, what they usually lack is ‘Capital’. India has very few investors who invest in early stages, so the ‘Capital’ is a big constraint for Indian startups. A report comparing funding in US and India says that while more than 60% of US startups manage to secure angel funding, only 15% manage to do that in India. The situation is especially lackluster for products that are in the consumer web space. I hope that changes soon enough; otherwise there is absolutely no chance of a Google or Twitter coming out of India any time soon. What would you like to tell someone, who is struggling or planning to start a product company? Have a team. Startups are way too much work for lone founders. Show investors some incoming money. It’ll increase your chances of getting funded manifolds. Start with a founding team, finding co-founders later can be an incredibly tough task. Have a plan B to sustain yourself, while you are trying to make it big. The future looks very promising for Frrole and we wish Amarpreet all the best! Don’t forget to download their iPhone or Android app. 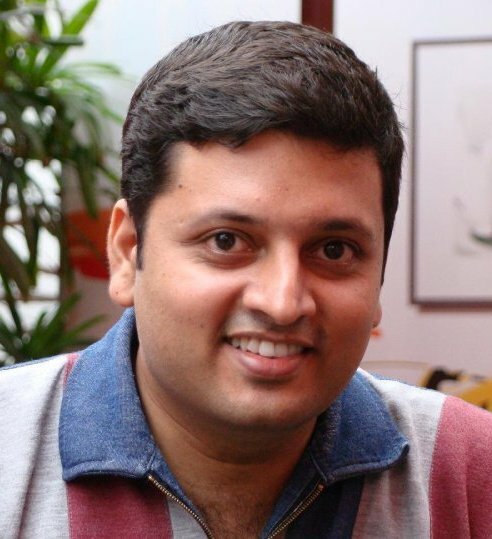 Jay Pullur is the founder and CEO of Pramati Technologies, software and services company based out of Hyderabad. The company recently announced that it’s enterprise social collaboration software platform — Qontext — had been acquired by Autodesk, the maker of design, engineering and entertainment software. Jay’s career in the software industry spans 25 years, and his primary interest lies in building products for new markets. This has led to Pramati Technologies incubating and spinning-off multiple startups. In an interview with pn.ispirt.in, Jay talks about the importance of a product development team, switching from a services mindset to a product mindset and importance of giving customers not just a product but also an experience. When you’re conceptualizing a product do you ultimately have the end goal in place or does that fall into place somewhere long the journey? Well, the end goal is to make the product successful. Normal entrepreneurial expectations are to build the business big enough to pursue the acquisition path, or an IPO. However at Pramati, even before we think about that end goal we practice what we call ‘careful entrepreneurship’ — we don’t venture into something just because we’re passionate about doing something in a certain area or because we want to jump on the bandwagon. Working with an end goal in mind is like playing the game with the sight set on the scoreboard; we might loose track of the ball. Instead, we start an idea in a small fashion, watch it gather momentum and then form a core team. The spectrum of opportunities is wide and how else would one choose? We build a core team around the project with people from within the company who have established capabilities and chemistry. We then have to craft the product pitch and try it out in the market before committing funds to sales and other activities. Based on the product-market fit, we formally make it an independent entity and float it out like a typical startup. This approach as worked better for us. So on an average, how long does this preparatory phase take? And what’s the profile of this team – do they come from multidisciplinary backgrounds? Idea development stage can take anywhere up to a year, most often 6 months. During this period, we have a really small team — like for Qontext, we had a three-person team. And they are usually people who’ve been with the company for sometime, so we know they are right for exploring certain aspects. There are many aspects to explore because a product is a confluence of market opportunity and certain technology changes. The company has built strong capabilities to address this confluence in a few chosen areas, and we play around our strengths. The team might include people from technology, user experience, business development, consumer marketing or enterprise sales, and the composition entirely depends on what aspects have to be explored before we dive deep. So given your background in Wipro, where you were employee #36, getting into the product mindset would have required a different mentality. In Wipro it was about the client doing the spec and asking for something, and the services organization providing the people and delivering the project. How did you resolve yourself to a new business model where the waiting period itself to kick of a project was anywhere between 9-12 months? When I started at Wipro, it was early days of the IT industry in the country. We did have to innovate on the services side of the business model in some fashion, however the services industry enjoyed many natural advantages. Understanding the services part of the business gave me good insights as to what is possible in India and the expectations of global clients. But, now we had to innovate on the business model further and we were ready for that. I left Wipro with the intention of experimenting and bringing a new level of innovation in the country using the same IT professionals but creating higher value offerings. Those were the days when the Internet was just beginning to boom, so our first product was an infrastructure for web applications. The company vision has been to find the right model for building globally successful products or services and go beyond what the traditional IT industry in India has done. Talking of teams, you have different very distinct product lines doing some very focused work. How do ensure that the best practices that come out of the product development exercise are replicable across the organization? Product development no doubt needs very high-levels of skills, capabilities, teamwork and commitment to excellence. And when we are able to that well, we need to ensure that it spreads through the organization and remains as part of our DNA even as we grow. This actually is a very critical element of our business model and you will notice that we are organized as multiple independent businesses with a core, underlying infrastructure, technical expertise, work culture and purpose. The independent business gives them the freedom of smallness (read startup) structurally and the core brings the power of the big. In some ways Pramati is not only a software company but also as an incubator and an angel investor with a portfolio of businesses. The strength lies in bringing this synergy between them, and building the infrastructure that is common for all these companies — and this is beyond just providing facilities and finances. It is about building the core capabilities of creating teams, spotting talent and integrating them. The Pramati corporate base provides a common infrastructure such as access to a strong legal and M&A specialists needed for deals like our recent one with Autodesk. Such Corporate development capability is hard to build in a startup, although very essential. Also, our model gives us the opportunity to bring talent in to the company even earlier than we’d actually need. We are always looking to bring the right people in the system and be part of our culture; opportunities may get worked out subsequently. So in the product development game, if you had to put your finger on three vital resources without which you wouldn’t even contemplate beginning, what would those be? Deep understanding of technology. The organizational knowledge in key technology areas plays a big role. It gives us the confidence to deal with changing market needs and customer preferences. The ability to think globally. Over the last 14 years we have built complementary operations in both India and the US. So this gives us access to both markets – customers and talent, enabling us to build products and market them. Our brand. Customers don’t want to deal with small brands and unknown products. Having been in business for a long time and served thousands of customers across different categories, we understand the kind of expectations customers have. We constantly strive to understand customers better and enhance the experience we deliver. Typically, Indians have been accused of being great from a technology perspective but are sometimes very poor at packaging and brand building. How have you tackled this? I think being good at technology alone is not enough. Customers today are expecting more than just a product or a solution — they’re expecting an experience. We always design and build the whole product, not just the software part. Few important things here are – the experience of dealing with company, the first impression with the product, the usability, the interaction with our support team. Nothing less than world-class sells today and no customers are captive; there are hundreds of other players in every market who are ready to service them. So obviously we had to build a team that’s global in nature finding the right resources in the right place. Fortunately, we found right talent in India who could design user interface and experience that works well for our global customers. However, as a company, we have placed heavy emphasis on packaging, user experience and brand development which has paid off well.